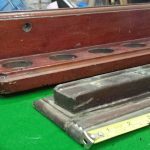 Antique Snooker Cue Racks | Browns Antiques Billiards and Interiors. 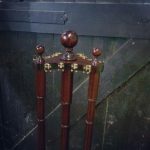 We stock a selection of wall mounted and free standing antique snooker cue racks. 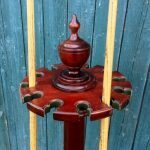 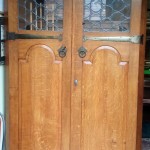 We usually have snooker cue racks available in oak, beech and mahogany. 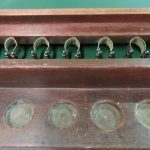 From revolving antique cue stands to wall mounted snooker cue racks, please contact us if there is something specific that you require. 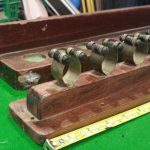 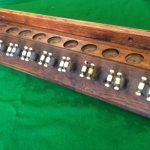 Please contact us to ask about antique snooker cue racks currently in stock.